A small no-kill animal shelter that offers pet adoptions, primarily dogs & cats but also goats and birds. The Blue Cross is reliant on volunteers & donations to operate. A welfare organisation supported by professional staff and volunteers. 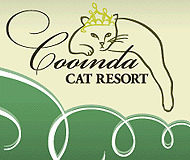 Coldstream offers pet adoption, pet fostering, boarding kennels and a cattery. The Royal Society for the Prevention of Cruelty to Animals was established in 1871 in Melbourne. They offer animal adoption for all creatures great and small as well as pet fostering. 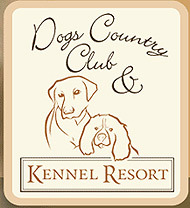 They also offer kennels & a cattery for boarding facilities. The Australian Animal Protection Society offers dog and cat adoption as well as pet fostering. They have a great variety of pets needing loving new homes and a fantastic website with profile pictures and background information on all the pets up for adoption. 37 Blackburn Road, Mount Waverley, Vic, 3149. The Animal Emergency Centres (AECs) provide premier after hours vet care to sick and injured pets with vet hospitals located in Melbourne, Adelaide, Brisbane and the Gold Coast. Our purpose is to save pets lives using the highest standards of emergency and critical care medicine and surgery, delivered professionally and compassionately. 1103 Dandenong Road, Malvern East. The Pet Emergency & Specialist Centre provides 24 hour emergency care and is a brand new state of the art facility, recently opened in 2009. The centre offers an internal medicine specialist along with a surgical specialist on site. Either facility will provide specialist emergency care for your pet in the unfortunate event when it is required, and liaise with the veterinary surgeons at Vermont Value Vet the following morning to update us on the treatment provided. Depending on how stable your pet is the following morning, you will be offered the opportunity to transfer your pet back to us for on-going care. Proheart SR-12 is a injection that prevents heartworm, which lasts a full 12 months in adult dogs. Vermont Value Vet recommends this for your dog's heartworm protection needs. Please contact the surgery for more information. Whether your dog is big or small, Simparica will protect them against harmful fleas, tick, mange and mites. Simparica has proven protection for 35 days so if you’re a few days late, your dog is still covered. Simparica is available in 3 packs (3-month supply) and 6 packs (6-month supply). 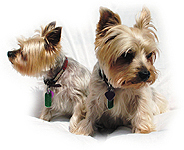 Revolution is used for the prevention of fleas, mites, heartworm & some intestinal worms in both dogs and cats. It is a spot-on treatment, applied to the back of the neck. Revolution can also be used on more exotic pets such as rabbits, guinea pigs and rats (see your veterinarian if required). Sentinel Spectrum is a once monthly flavoured chew that prevents fleas, intestinal worms and heartworm in dogs. Interceptor Spectrum is a once monthly flavoured chew that prevents intestinal worms and heartworm in dogs. Popantel is an intestinal worming tablet for the control of roundworm, hookworm, whipworm and tapeworm in dogs. Milbemax is a complete intestinal worming treatment in the form of a tablet. We use this worming tablet for cats at Vermont Value Vet. 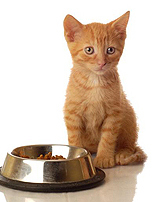 Royal Canin is a global leader in pet health nutrition. In an industry that continues to adapt to popular trends, our mission remains the same: Observing them, learning from them, respecting them and recognising their differences is quite literally our life’s work. 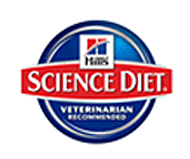 For useful information on diet and nutrition for dogs and cats, Hills Science Diet and Prescription Diet products, dog and cat care, and new "Petfit" - veterinary supported pet weight loss program. A useful website for owners of microchipped pets - contact details can be changed as required and lost pets can be registered via the site. This site gives information on requirements for registration of your pet through Maroondah City Council and has a registration form available for you to download. This site gives information on requirements for registration of your pet through Whitehorse City Council and has a registration form available for you to download. A three-bedroom beach cottage on the Rye Blairgowrie border with solar heated swimming pool and spa seven hundred metres from the beach. The property is fully fenced and pets are most welcome. An increasing number of clients at Vermont Value Vet are taking the opportunity to insure their pet's health. 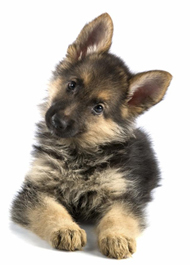 The benefits are assurance that fees will be covered in the unfortunate event of your pet being ill or injured. It also means you are able to choose the best treatment options for your pet when required. We recommend Pet Plan insurance. Please contact the surgery if you require more information or are interested. A useful service for those needing to transport their pet but with no car available. Petcabs transports pets and their owners to and from the vets, the airport, kennels etc. 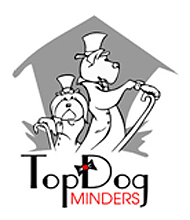 A website with helpful information regarding dog breeds, breeders and caring for your dog.